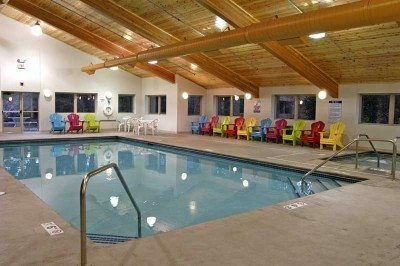 2 Indoor pools (1 in Breezy Center – for all resort guests, 1 in Breezy Inn – for Breezy Inn Guests) both with Jacuzzis – Hours 9 AM to 11 PM. Lighted outdoor skating rink in front of the restaurant for skating or broomball (Skates – $5.00 or $12.00 for 4 hours + tax per hour – Close at 10 PM) – Indoor rink availability varies – call the front desk for hours and prices. Breezy Center Pool – 9 AM to 11 PM. Exercise equipment available in the Breezy Center 24/7 with key card – free to guests. 9-hole snow golf course on the lake in front of the restaurant – Equipment (golf club and tennis ball) available at the Recreation Center – free to guests. Video games to challenge all ages in the Recreation Center and Board games to sign out. DJ entertainment in Dockside Lounge on the weekends and when large groups come to visit. Shopping in the nearby towns of Nisswa, Pequot Lakes and Crosslake. Fish House Rental – Fishing with Matt Guide Service – Call 218-232-4088. Two and Four man sleepers available. Upon arrival, your holes will be open and fish house warm. 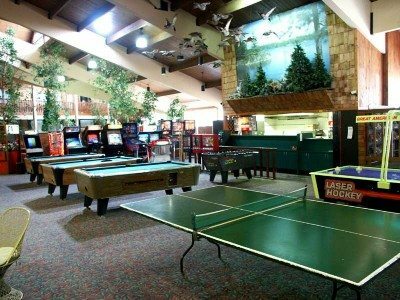 Fish House Rental – Breezy Point Fish House Rental: call Todd at 218-821-8812 or email mnwalleyguide.com. 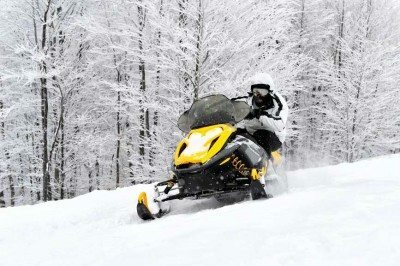 Snowmobile rentals are available at Boats & Beyond Rentals. Top quality NEW equipment! Helmets and gear available too. Ride the trails back to Breezy, or they will deliver. 218-963-7700. www.boatsandbeyondrentals.com Special Breezy Point Resort guest pricing!